No one has arrived in English would translate to Personne n'est arrivé in French. In English we would use present perfect tense because it signifies something starting in the past and still going on to the present: no one arrived and they are still not here at the moment and this will continue on to the future. In French it would be Personne n'est arrivé which to me is something happened once and complete in the past, such as Je suis rentré/sorti, Il m'a quitté. Why are we using it here for No one has arrived. 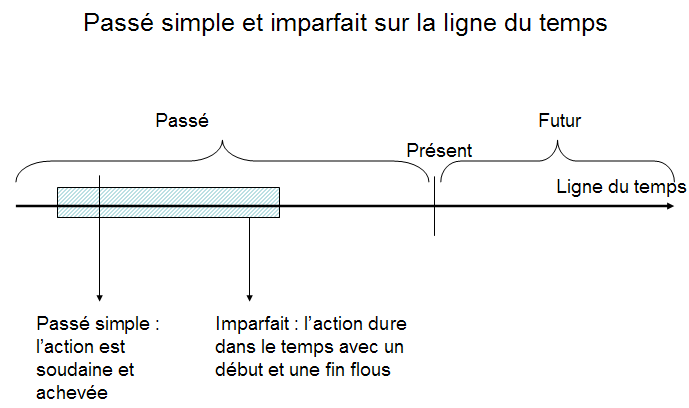 For me if something started in the pass and continue to the present, I would think of imparfait : "Personne n'arrivait". So why are we not using it here and what would it mean if I say "Personne n'arrivait"? I think my answer in the previous post might have been slightly incorrect in English and therefore confusing you. I personally don't make a real difference between "Nobody arrived" and "Nobody has arrived", and I think that's were I'm wrong. Actually, the real meaning of "Personne n'est arrivé" depends of the context. J'attendais mes amis mais personne n'est arrivé. I couldn't tell if both translations have the exact same meaning though, I would maybe mistakenly use either one or the other without further thinking. J'attends mes amis mais personne n'est (encore) arrivé. is an observation at point T in time. Nobody is there. It gives the idea of continuously observing the situation. Nobody was coming. There is the feeling of waiting for it to happen. The imparfait has this notion of continuity. Well, at least in my mind and for this situation. By the way, I'm a native french speaker, but not a professional linguist. Is incomplete: it can be something that happened in the past but is still ongoing. Not the answer you're looking for? Browse other questions tagged grammaire temps-grammatical passé-composé imparfait concordance-des-temps or ask your own question. “Alors qu'il s'était allongé” or “alors qu'il s'était allongeait”? Why use Conditionnel Passé “j'aurais voulu”, not Conditionnel Présent “je voudrais”? Vous savez qui on attend? Why “qui” and not “que”?